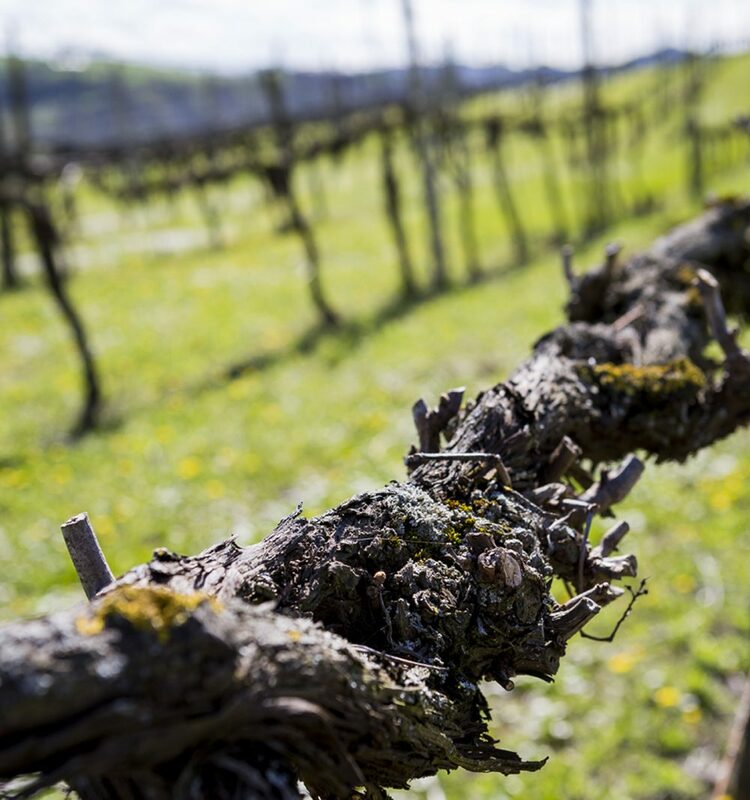 Perched on hills that seem designed specifically to accommodate the vineyards, Tenuta Pertinello produces wines of the highest quality, the result of extensive research and skilled workmanship. Vines have been cultivated on the upper Bidente valley for many years (the first results in the municipal archives date from the late sixteenth century), but the production development has been remarkable since 2006 when the company was taken over by the family Mancini, and Pertinello has become a brand of reference in national oenology. Tenuta Pertinello is a young winery, but one aware of traditions which it today interprets with enormous personality. The Mancini family began its work with the winery’s real treasure, the oldest Sangiovese vines. Clones developed from these over sixty year old plants were then planted in new vineyards. Until 2007, only one wine was produced, the Pertinello (Sangiovese). A decision was then made to gradually turn the vines to wine production, field by filed, with production methods differentiated according to the characteristics of the vines, arriving at three varieties: the Bosco (steel), the Pertinello (steel and wood) and the Sasso (the Sangiovese reserve, a wine made from the vineyard’s oldest vines). The complete production cycle, from harvesting to vinification, from aging to bottling and including labelling, all takes place on Tenuta Pertinello. Harvesting is done by hand in late September, when the grapes are meticulously selected and the harvest is immediately vinified. The Mancini family property backs onto the National Park of the Casentino forests forming the border between Romagna and Tuscany. The Pertinello vineyards are between 300 and 400 meters above sea level and enjoy an enviable sun exposure and a unique micro-climate within the valley. The soil is stony, rich in limestone and clay. The vines are exposed to full sun in the south-south east, with constant breezes, a wide temperature range and a low rainfall. This environment results in healthy vines and fruit, without any need for plant protection measures. A corridor grassy is maintained between the rows of vines. The grass ensures a constant soil humidity. It is periodically cut and left on site, creating a humus ideal for natural fertilization. The soil, aspect and grapes are fundamental elements of the excellence of the product: the clones selected from the pre-existing plants give low yields (well below 80 quintals per hectare) and high quality. Tenuta Pertinello currently consists of 55 hectares, of which nearly 12 are vineyards with plans to extend this number. Much work has been done on the production method in recent years, and the 2015 harvest will see the launch of a certified organic production, an added value for Pertinello. 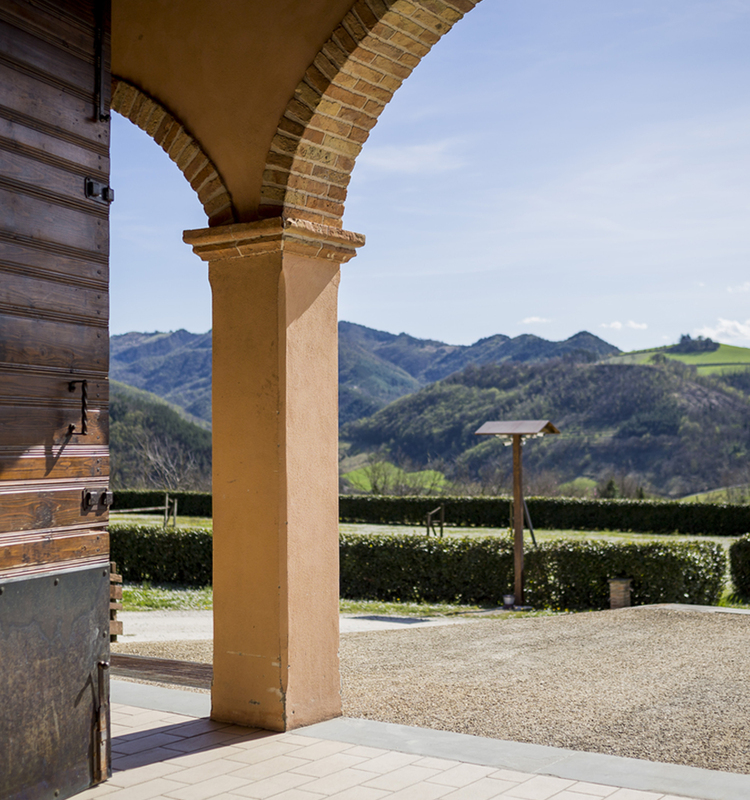 Tenuta Pertinello has a vaulted underground cellar of old bricks and stone. 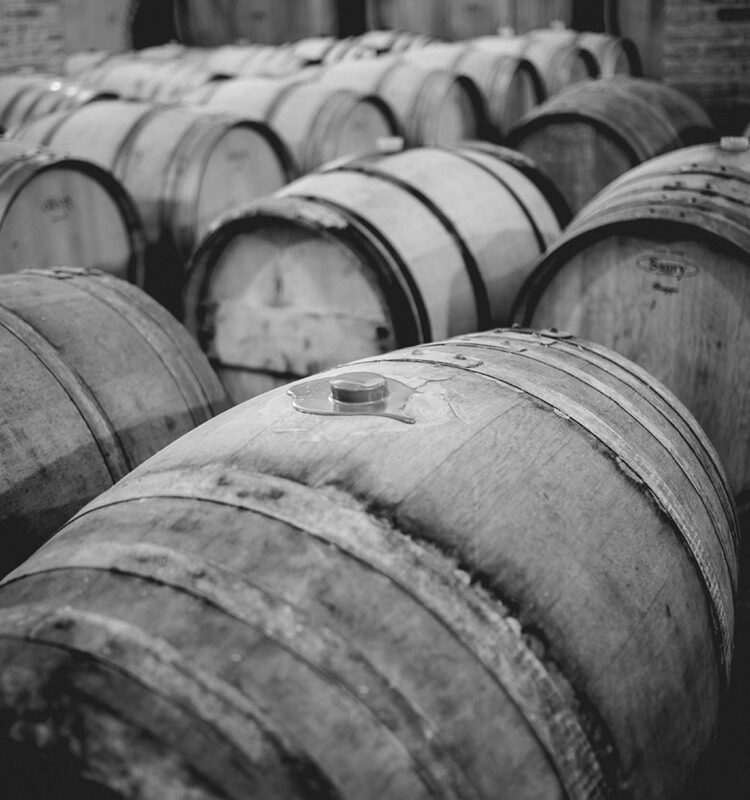 stored in large casks and oak barriques from the French Allier forests. The number of bottles is low, but they are made with a heartfelt passion. On average, production hovers between 40,000 and 50,000 bottles a year. Technology and modernity also have their place in the cellar. Fermentation is automatically temperature-controlled in stainless steel vats for pistons to sink the skins at regular intervals, all controlled from a computerized panel. The grape and wine processing takes place in new, hygienically optimal conditions i accordance with HACCP standards.